At first blush, wooden planks might not seem like the most exciting of topics. 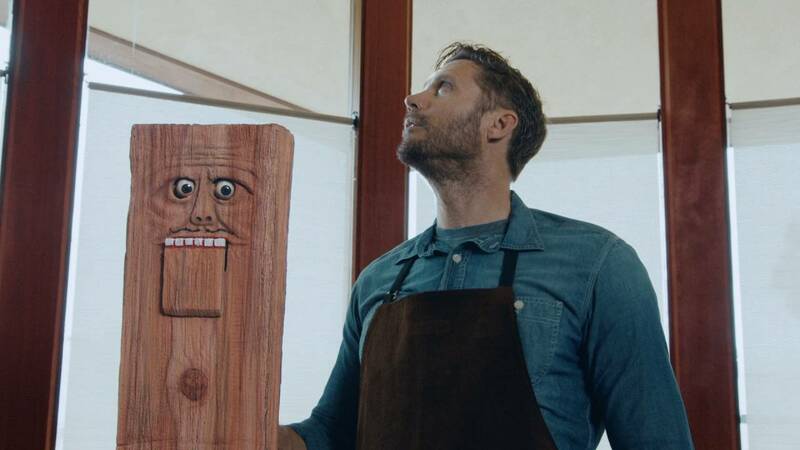 But a new campaign for Humboldt Redwood manages to make them surprisingly fun. His ventriloquist is a builder. Together, they admire the various redwood features of a home—a wall, a deck, a post and a beam. The wood is gorgeous, but it's McTimber's goofy musings that make the spots work. In his debut spot, he argues that, before TV, house dwellers were simply left to stare at their walls. (Why he seems to think this is no longer a satisfying way for us to pass the time isn't clear.) Our ancestors, he goes on, would be impressed by the quality of these particular walls, which seems like a fair assumption (though it's safe to say they'd be way more impressed by virtual reality). The second ad, focused quite literally on flooring, is perhaps the best, adding—spoiler alert—a dachshund to the mix for further comic effect, which is rarely a poor choice. The deadpan gag continues in similar fashion through the remaining ads. The sarcastically defiant naming convention—"Just a Wall," "Just a Deck," "Just a Post," "Just a Beam"—also serves as an effective foil for messages meant to articulate exactly the opposite, a kind of bait-and-switch that's easily forgiven in exchange for ha-ha's. The voice actor, comedian Ross Brockley, gets outsize credit for his on-point delivery. It's not his first work for Humboldt Redwood—barrettSF brought him back after he voiced a more straightforward spot (about—surprise!—decks) for the brand in 2013. But in the new ads, he nails the oddball persona to match the puppet's Snidely Whiplash mustache and googly eyes. Aimed at homeowners and their contractors, the spots will run on cable. The tagline, "Real. Strong. Redwood," reinforces the product benefits, complementing a character who keeps the message from being entirely forgettable. It only makes sense that the spokesperson for a redwood company would be a talking plank, and boring in the best way possible.